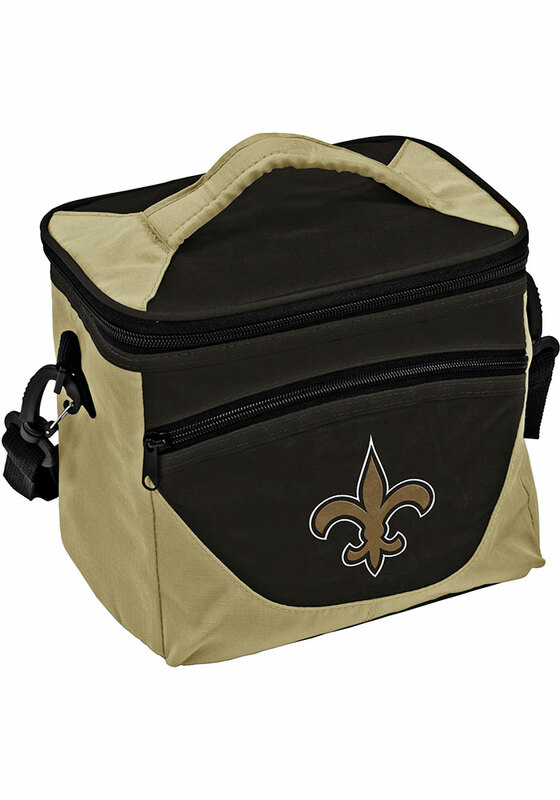 Take your Saints spirit with you to the next tailgate with this New Orleans Saints Halftime Lunch Cooler. This Cooler features a New Orleans Saints logo. It’s made with a heat-sealed, leak-proof lining to help keep your snacks or drinks cold. It has a zipper pocket on the front for dry storage. Use the handle on the lid or the detachable shoulder strap. The two-color design features a logo on the front. Holds nine 12oz cans. Go Saints!